Writing a new riff for an old tune. 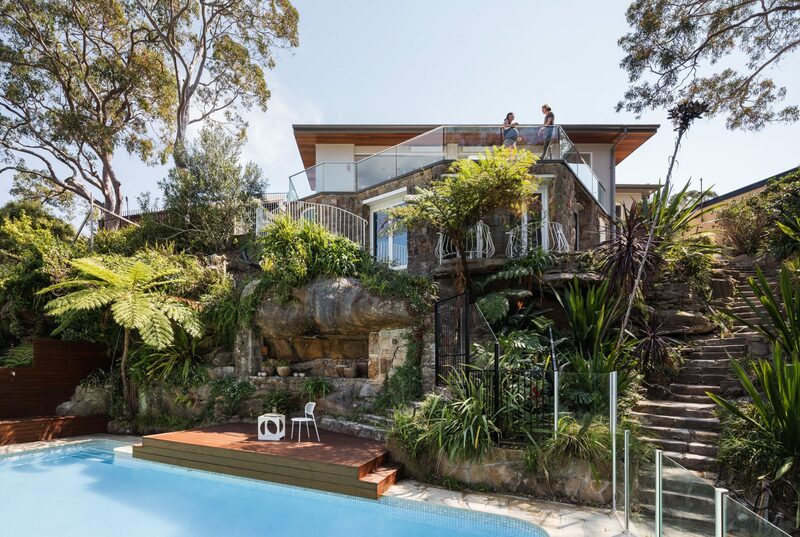 Perched high above Sailor's Bay in the Griffin Conservation Area of Castlecrag, this unique postwar cottage had lost clarity and charm through decades of ad hoc alterations. Our brief to reconnect the interior levels led to a beautiful new music room created in a previously unusable cavern. A complex overlay of heritage and planning guidelines allowed minimal additions to the footprint of this Walter Burley Griffin-inspired house, so judicious spatial editing was required in simplifying the interior, creating better rooms and opening up the sight lines. Excess partitioning walls were stripped away, and deep skylights carved into the roof. In simplifying the dwelling, the humble embellishments of the original structure take on a new grandeur – the hipped roof and gentle sandstone arches. But it’s the language of crafted timber throughout that connects the project from one level to the next, and across the passage of time. Generously proportioned sliding doors allow the home to seamlessly segue onto the revitalised deck, looking out to the harbour and subtropical garden surrounds. Renewal of the lower ground level has created a flexible music room accompanied by cosy cellar incised into the incline of the steep site.